Save some time, money and stress. Avoid some potential future challenges and facilitate the upcoming divorce process. Arizona divorce residency requirements – People who want to file for divorce in Arizona must have lived in the state for at least 90 days before filing a Dissolution of Marriage petition with the court. Preparing your finances – Your finances are likely one of the more important things to think about when you are planning for an Arizona divorce. From shared bank accounts and retirement plans to the division of marital property, the plans you make about your finances before divorce can help you prepare for your financial future after divorce. Preparing other documents – In addition to preparing your finances, preparing other documents as you are planning for an Arizona divorce can also be helpful. Just some of the documents that may be important to get together include jointly filed tax returns, mortgage (and other loan) documents, insurance policies, etc. Preparing children and/or yourself – While there can be some logistical things you can start preparing for an Arizona divorce, you may also want to consider getting yourself (and your children, if you have any) mentally prepared for the upcoming divorce process. 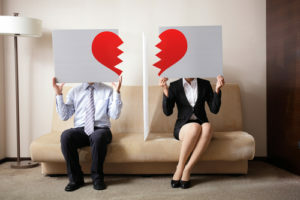 One good thing to do when preparing yourself for divorce can be to consult with an experienced Scottsdale divorce attorney likely Karen A. Schoenau, who can inform you of your best options for moving forward and favorably resolving your divorce case. Are you planning to file for divorce in Arizona? If so, you can rely on Scottsdale Family Law Attorney Karen Schoenau for honest answers, effective representation and the best possible outcomes to your case. Since 1987, Karen Schoenau has been committed to helping people resolve their important family law matters, including complex divorce, custody, paternity, and other family law cases. Work diligently to help her clients bring their cases to successful resolutions. To receive professional advice and learn more about your best options for proceeding with divorce, schedule an initial consultation with Divorce Attorney Karen Schoenau. You can set up this meeting by calling 480-845-0251 or by emailing us using the contact form.